Professor Jacob George is urging the community to get tested. People living with hepatitis C can now be cured with new, easy-to-take and highly effective treatments. During Hepatitis Awareness Week 2017, Western Sydney Local Health District is encouraging people with hepatitis C to ask their GP about new treatments and to have a test. 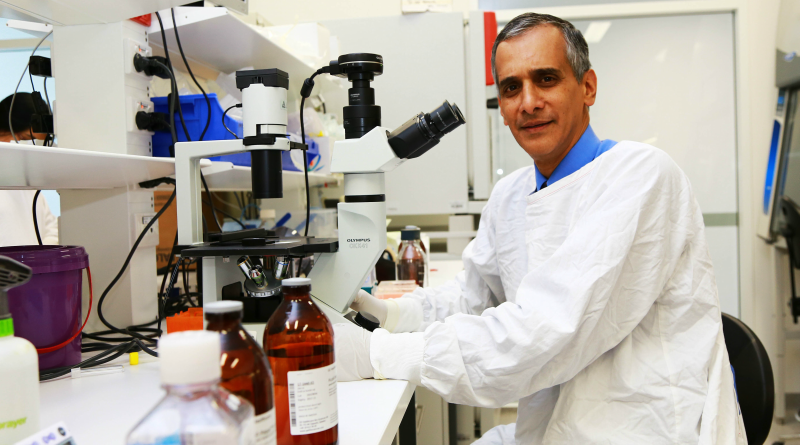 Westmead Hospital director gastroenterology Professor Jacob George said people were enjoying the full benefits of treatment. “More than 11,000 people in NSW were treated for hepatitis C in 2016, which is 14 per cent of the estimated number of people living with hepatitis C in NSW,” Professor George said. “With a cure rate of 95 per cent, it is now possible to eliminate hepatitis C as a public health concern in NSW and Australia. This is a major shift. The number of Australians in NSW with hepatitis C-related liver disease has more than doubled since 2006 to more than 49,000 people in 2015. Appropriate treatment can prevent liver cancer. “If we are to achieve the elimination of hepatitis C, we need people to ask their GP about new treatments and to have a test,” Professor George said. “Most people with hepatitis C can now be cured in 8 to 12 weeks, with all-oral tablets, no injections and minimal side-effects. “For people who know they have hepatitis C, there’s no reason why they cannot be living hepatitis C free by this time next year,” he said. Professor George said the challenges were different for hepatitis B, which can also lead to liver disease and cancer. Aboriginal and/or Torres Strait Islander people. ← Hello to a new hoarding!